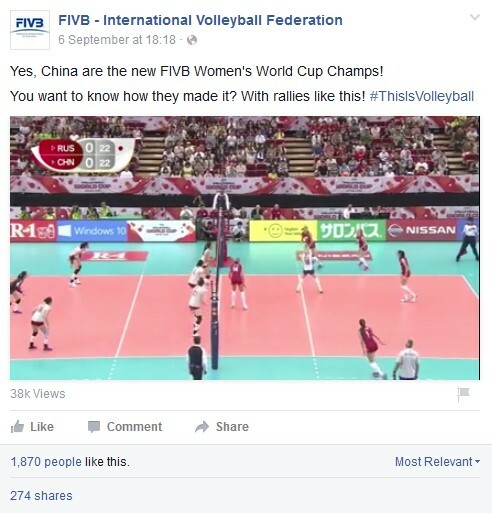 Lausanne, Switzerland, September 9, 2015 - Hosts Brazil, FIVB Volleyball Women's World Cup winners China and runners-up Serbia are the three teams already qualified for the women's volleyball tournament at the Rio 2016 Olympic Games. The destination of the next four tickets for the 2016 Summer Games will be decided at continental qualification tournaments, which are scheduled for shortly after the turn of the year. The venues for the qualification tournaments of the North, Central America and Caribbean Volleyball Confederation (NORCECA) – with world champions USA as the hot favourites – and the African Volleyball Federation (CAVB), with African champions Kenya among the frontrunners, will be announced shortly. However, a further two venues have already been confirmed. The showdown in the South American Federation (CSV) will take place in Argentina from January 4-10. The hosts, who finished eighth at the FIVB Volleyball Women’s World Cup, are the favourites to progress. From January 4-9, Ankara will host the qualification tournament for the European Volleyball Federation, which features the home nation Turkey and the top seven teams in the European rankings. The favourites to qualify are European champions Russia, who finished fourth at the FIVB Women’s World Cup to narrowly miss out on Olympic qualification. However, teams like the hosts Turkey, Italy, who finished fourth at the FIVB Volleyball Women's World Championship, and European Championship runners-up Germany will also fancy their chances. One thing is already certain, however: Europe will have one representative fewer at the 2016 Olympic Games than four years earlier in London. In 2012, five European teams were in action. This time, a maximum three teams can still join Serbia on the plane to Rio. The winners of the continental qualification tournament are assured of their ticket. After that, only the second and third-placed teams at this event will still have a chance to qualify for the Olympics. Their final opportunity comes at the World Olympic Qualification Tournament in Japan, which will take place in the period between May 14 and June 5, 2016. They will be joined there by the second-placed team from the NORCECA qualification tournament and the second-placed team from the South American qualification tournament. Four Asian teams will also be in action in Japan, as the tournament also forms the qualification tournament for that continent. In the end, four of the eight teams will leave with tickets to the Olympics. The three highest-ranked teams and the best Asian team will qualify for the 2016 Summer Games. The final vacancy will be decided at the Intercontinental Olympic Qualification Tournament due to be held in the period from May 14 to June 5, 2016. The third-placed team from the South American Olympic Qualification Tournament, the third-placed team from the NORCECA Olympic Qualification Tournament, as well as the second and third-placed teams from the African Olympic Qualification Tournament will compete for the final berth. It is already certain that South America will have at least one team more in Rio than in 2012. Back then, the continent was only represented by Brazil, who went on to be crowned Olympic champions. In 2016, as well as the defending champions, the winning team from the continental qualification tournament will also be in action. In 2012, gold medallists Brazil were joined in London by five teams from Europe (Great Britain, Russia, Serbia, Italia, Turkey), three from Asia (China, Japan, Korea), two from the NORCECA region (USA, Dominican Republic) and Algeria as the African representative. The next few months will decide who will go head to head for the 2016 Olympic title in Rio in just under a year. One thing is sure: the volleyball competition at the Olympic Games in Rio de Janeiro will be a huge party. The demand for tickets has been among the highest for any sport, and the organisers expect every match to be a sell-out. Doug Beal, CEO of USA Volleyball and coach of the first United States team to win men's volleyball Olympic gold in 1984, said: "Maracanazinho is a great setting for players and will provide a sensational stage for Olympic volleyball in 2016. Athletes from around the world love to play here at this historic venue and the Brazilian fans know volleyball very well. Volleyball will be one of the most popular sports at Rio 2016 – and with the battle for medals fiercer than ever before, we are sure to witness one of the best Olympic volleyball tournaments of all time.” Even the qualification process has been more exciting than ever before.